The latest version, updated on 29 March, shows details of 763 incidents in which a total of 9.3 million fish were reported dead. 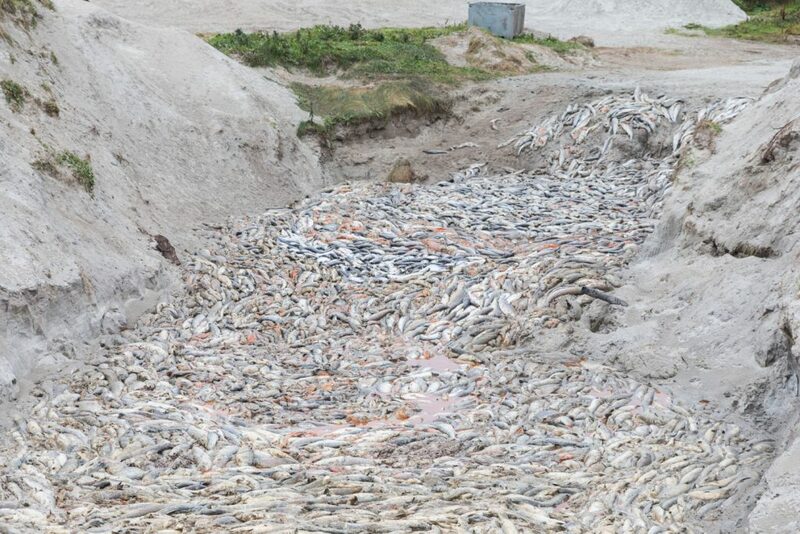 There were 361 incidents killing 4.5 million fish in 2017 and 308 incidents killing 3.4 million fish in 2018, with other mass salmon deaths in 2015, 2016 and the first two months of 2019. The highest number of salmon deaths were reported by the Canadian company, Cooke Aquaculture, and the Swiss-owned Scottish Salmon Company, who both recorded 2.5 million mortalities. Two Norwegian-owned firms, Mowi (formerly Marine Harvest) and Scottish Sea Farms respectively reported 1.7 million and 1.2 million deaths. At a Scottish Salmon Company farm on Loch Odhairn on the Isle of Lewis there were deaths in January 2018 due to “suspect cardiomyopathy syndrome”. But the company was “unwilling to disclose the percentage of the mortality or the number of fish involved”, according to government inspectors. Mowi Scotland pointed out that salmon were cared for over three years, and farmers wanted to see them all survive to market. “We have been very open about our efforts to overcome the challenges to salmon survival, that may include weather, health and predators, and is similar to what any farmer may face,” said the company’s communications director, Ian Roberts.